Hello, Doodlebug friends. 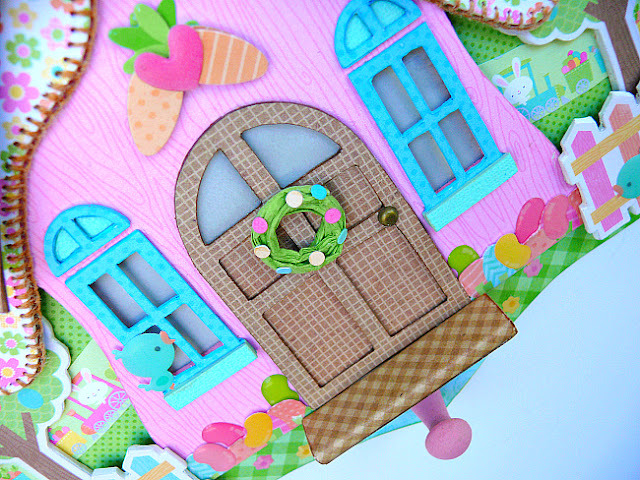 Jennifer here and today I'll be sharing a project featuring the new Easter Express collection. 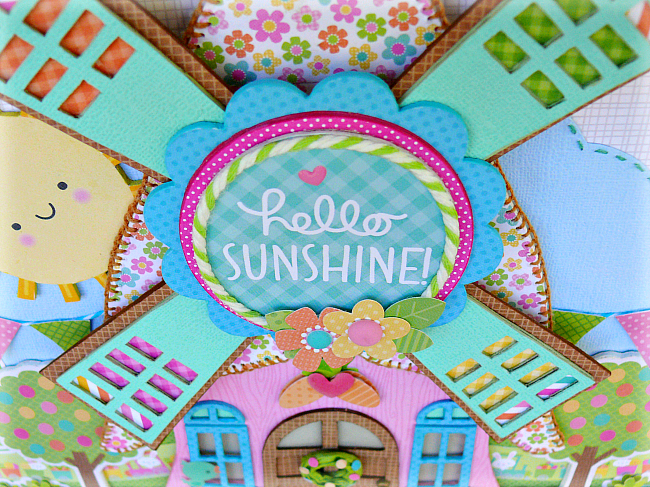 I love to create fun and whimsical scenes using Doodlebug stickers and die-cuts. 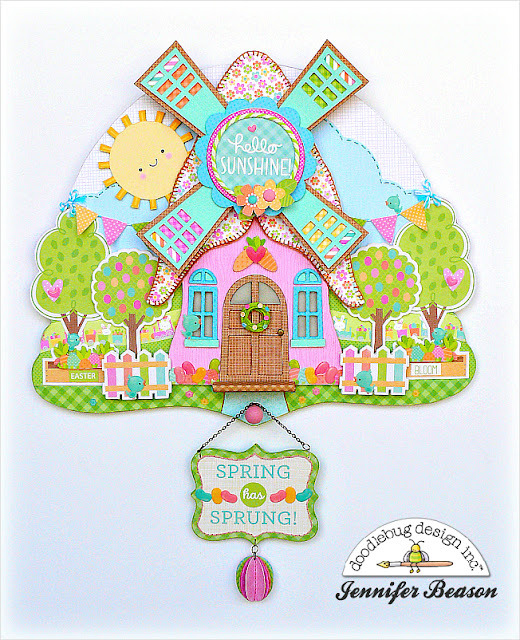 So that's just what I did with this Spring project. 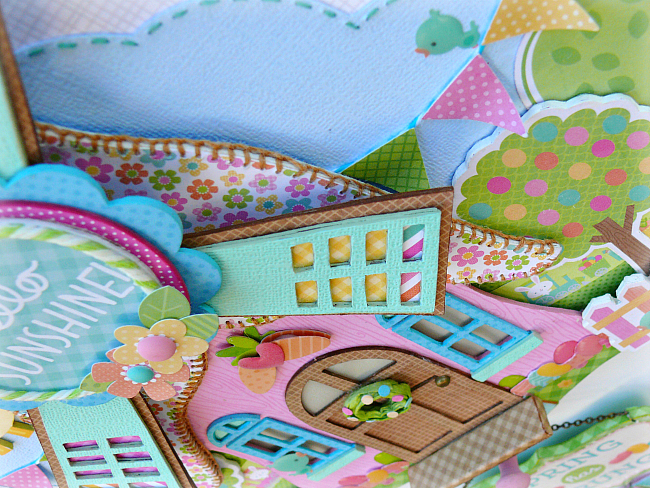 After I had my base and windmill pieces cut, I began covering them with patterned paper and cardstock. As you can see I had fun using shaped sprinkles, doodle pop stickers and die cuts throughout the project. 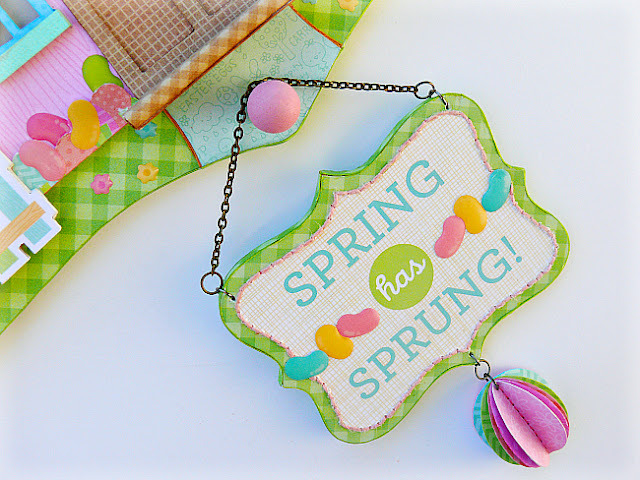 I did cheat a little, by using a few embellishments from the Spring Things collection as well. 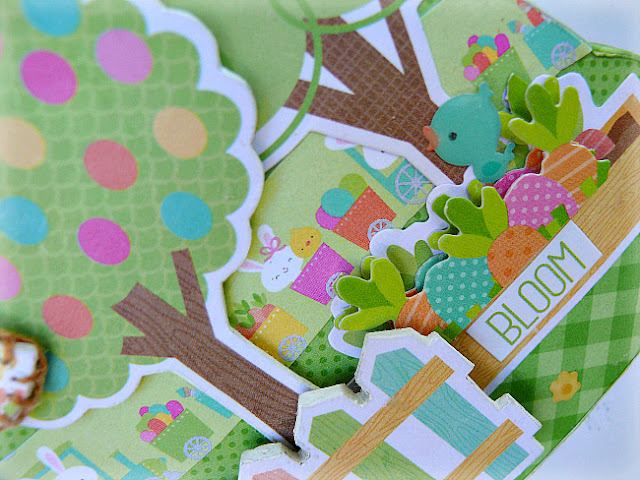 To achieve a layered look on some of the die-cuts, like the egg tree and fence I mounted them to chipboard. A title sticker was used to create a small sign. Again, it was mounted to chipboard then was hung from a wood peg that was attached to the main piece. Jellybean sprinkles were applied to the sign and I also added some egg die-cuts to the bottom.